Counterculture icon Mick Farren died earlier this week, July 27th. He initially came to fame as a member of the Deviants, who released three albums in the 1960s. Though associated with the counterculture, Mick Farren was no peace-and-love hippie. His work unflinchingly explored a darker view of his times. He recorded only sporadically after leaving the Deviants, instead turning his attention to writing. He was a prolific author, writing several nonfiction books (many indulging conspiracy theories) and more than 20 novels, mainly speculative fiction. He also wrote “The Titanic Sails at Dawn” for the New Musical Express, which anticipated the punk rock revolt against the music scene of the mid-1970s. 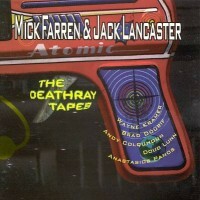 In 1995 Mick Farren collaborated with Jack Lancaster on The Deathray Tapes , which describes a dystopian landscape. The cover of the album shows a toy gun but the spoken word pieces on this album describe violence that is all too real. 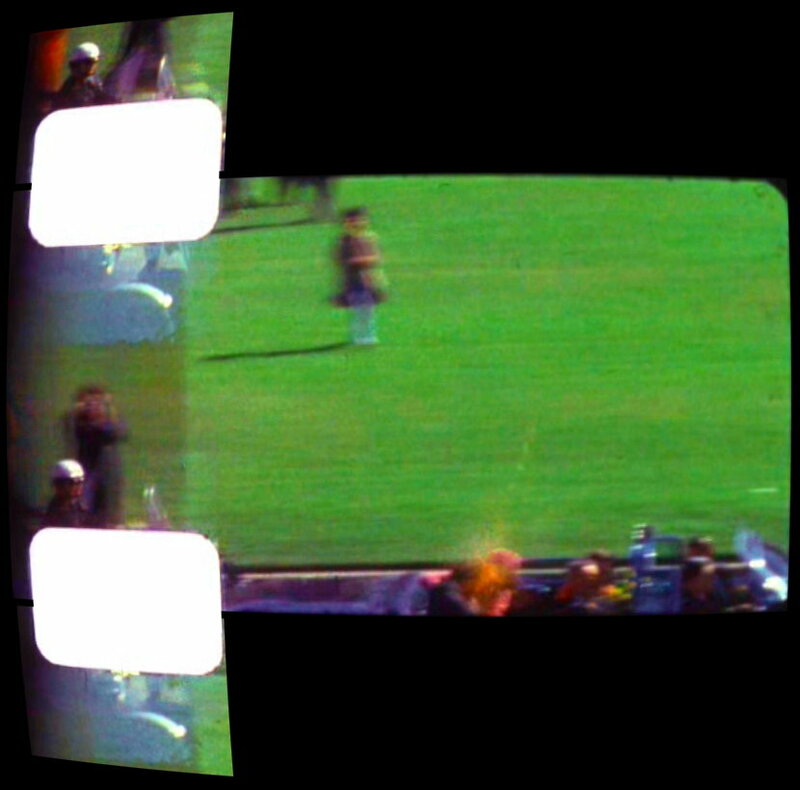 One of the tracks on The Deathray Tapes, “Zapruder’s Film,” expresses the shock of the JFK assassination and the profound disillusion that followed over Jack Lancaster’s mournful accompaniment. The Zapruder film has had a profound impact on our culture and Mick Farren captures the impact of the raw images of this 26-second film in his passionate poetry. He describes not only the graphic violence of the film (“the pink haloed vapored brain” and “An image of a head explodes”) but also the atmosphere of distrust that has followed the events it captured (“an innocence is crushed beneath”). Mick Farren points to a conspiracy (“Triangulation, planned attack/Concrete basement, lips are sealed/And ruthless men have cut their deals”) where the president was executed with military precision (“triangulation, planned attack”) and the conspirators have gotten away with murder (“Goes gunman on a grassy knoll”). Mick Farren asserts that the public’s faith in our institutions has been shattered (“And we will never trust again/The public masks of ruthless men”) and that we no longer trust one another (“We enter a time of guns and jails”). In Mick Farren’s view the Zapruder film opens our eyes to a darker truth about how the world operates and presages the bleak outlook that has become the hallmark of our times (“And down the years no time to kill/Zapruder’s film is rolling still”). Posted on July 30, 2013 October 10, 2013 by Dead Man	in JFK Assassination. Tags: JFK Assassination, Mick Farren, Zapruder Film. The Zapruder film is a home movie taken by Abraham Zapruder of JFK’s motorcade through Daley Plaza on November 22, 1963. Abraham Zapruder was the owner of “Jennifer Juniors, Inc.” a clothing manufacturer with offices located in the Dal-Tex Building across the street from the Texas School Book Depository. Zapruder was a JFK supporter and on the advice of his assistant he decided to make a film of JFK as he passed through Dealey Plaza. He positioned himself on a concrete pedestal on the northwest side of Elm Street and he used his Bell & Howell Zoomatic 8mm “Director’s Series” camera to film the motorcade. Zapruder was not the only one to bring a movie camera to Dealey Plaza that day. In fact, Orville Nix, filming from the opposite side of Elm Street, captured images of Abraham Zapruder in his film of JFK’s motorcade through Dealey Plaza. What distinguishes the Zapruder film is that it is the most complete of the home movies taken of JFK’s assassination and, because of Zapruder’s position, it also captures the fatal head shot the most clearly. The Zapruder Film lasts 26.6 seconds and each of its 486 frames has been numbered. The most grisly image is captured in frame 313. Below is a thumbnail image of this frame. The Zapruder film, and this frame in particular, is still shocking. Click on the thumbnail of frame 313 below to see a larger rendering of it. Be warned, however, that the graphic violence captured in this frame is disturbing. Jacques Barbéri, Denis Frajerman, Philippe Masson and Philippe Perreaudin formed Palo Alto in Paris in 1989 and released several albums of experimental electronic music through the 1990s. With the departure of Philippe Masson, the group shifted more toward improvisational performances, often playing with guest artists. They largely stopped producing new releases but in 2003 they founded Halte Aux Records !, a label dedicated to releases by French bands with a similar focus on experimental electronic music. The same year, Palo Alto experienced a renewed focus on industrial music and their performances began incorporating more moving images and texts. In 2007, Palo Alto released Terminal Sidéral: Live 05-06-07 Music and Films on the Optical Sound label. One of the tracks on this release, “Dealey Plaza (Frame Z-313),” refers to the Zapruder film and its most infamous frame. Recently I corresponded with Philippe Perreaudin about this track. Turn Me On, Dead Man: Would you explain what you were trying to express in this track? Philippe Perreaudin: Palo Alto is a group of improvised music. We create musical atmospheres without wanting to deal with a particular topic. Then, when we listen the results of these improvisations, we seek to give them titles. Listening to this song with the voice, the crowd, the inexorable rhythm loop, I immediately thought of the JFK assassination and the Zapruder film. With each listen, this song reminded me of the images of this film. This piece is very narrative, very cinematic. So, we have given a title related to this event. The title refers to the precise location of the assassination of JFK in Dallas and the fatal frame number in the Zapruder film. In France, this title is enigmatic because, apart from the specialists, nobody knows “Dealey Plaza”, and even less, the frame number of the Zapruder film. The event is terrible but we are fascinated by the images shot that day by Zapruder and others. We are also fascinated by the theories that followed the assassination. Turn Me On, Dead Man: What are the voices in the background on that track and what are they saying? Turn Me On, Dead Man: Why the applause about 4:30 and again at about 5:30 into the track? Philippe Perreaudin: The applause is there to create an atmosphere of crowd because we can imagine that there were applause and cheers throughout the route of the procession. 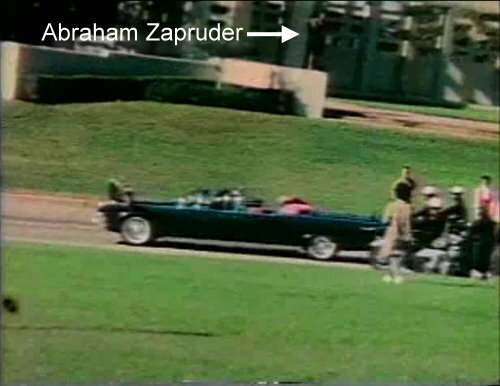 Turn Me On, Dead Man: Z-313 is the frame in the Zapruder film where you see JFK’s head explode. Why this frame in particular? Philippe Perreaudin: Yes. We like the enigmatic aspect of this code. The title of this piece is very clear for people who are interested in the JFK assassination and totally incomprehensible to others. This is, we believe, a more powerful title than, for example, “JFK”. Turn Me On, Dead Man: The subtitle on the album is Music and Films. Did you show the Zapruder film (or some other moving images) when performing this track? Philippe Perreaudin: No, never. But it is a good idea. The Zapruder film is perhaps the most closely studied film of all time. Here is footage from a documentary showing stabilized images of the Zapruder film at normal speed and in slow motion. Posted on July 22, 2013 October 10, 2013 by Dead Man	in JFK Assassination. Tags: JFK Assassination, Palo Alto, Zapruder Film.